There's a fun little tag going around on YouTube with 7 questions regarding beauty/makeup and I thought it would be fun to do a blog version of it with pictures and a little description for each answer! 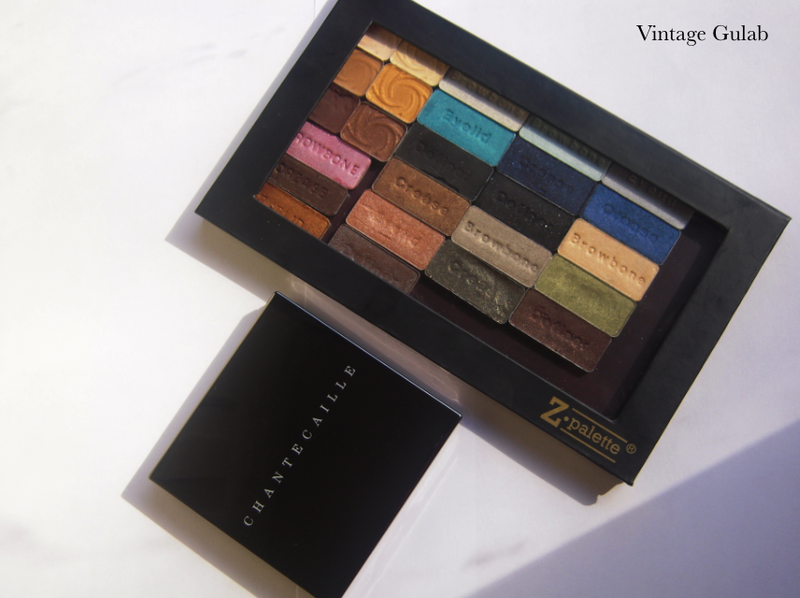 The most inexpensive-but-well-loved items in my stash would be Wet 'n' Wild Eyeshadows ($1.99-$4.99) // I have 4 palettes depotted into a Z Palette: a trio: 'I'm Getting Sunburned' ($1.99); 6-pan: 'Vanity' ($3.99); and two 4-pans: 'Comfort Zone' ($4.99) and 'Blue Had Me at Hello' ($4.99). I LOVELOVELOVE these. 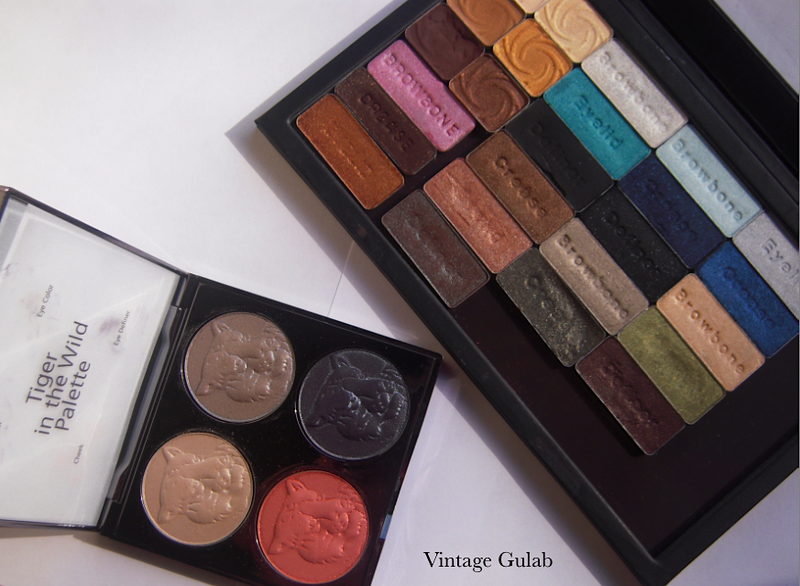 The color pay off is amazing and 'Comfort Zone' is a MUST have. I will be doing a separate posts on these eventually. The single most I've dished out would be for Chantecaille's 'Tiger in the Wild' palette ($78)// A separate post and review (along with closeups/swatches) on this will be posted shortly but it's one of the most gorgeous quads in my collection, too bad it was a limited edition. 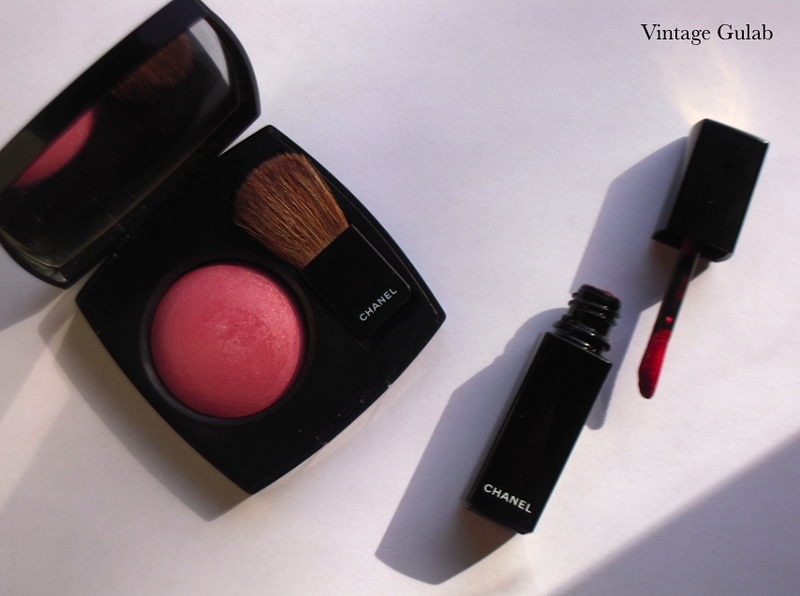 Love/Hate relationship would be with Chanel Joues Contraste blush in 'Pink Explosion' ($43). I find that 'Pink Explosion' just doesn't seem have much color pay off. Maybe I got a dud? Although it's a GORGEOUS color, I don't find the formula very great. Keep in mind, this is the "baked" version which is sold in Europe so it may have something to do with that because I hear the North American versions are wonderful. Right next to it is another love/hate product: Rouge Allure Laque in 'Dragon' ($32) and this is one of the most gorgeous reds I have ever seen and flatters pretty much everyone I see it on (love). 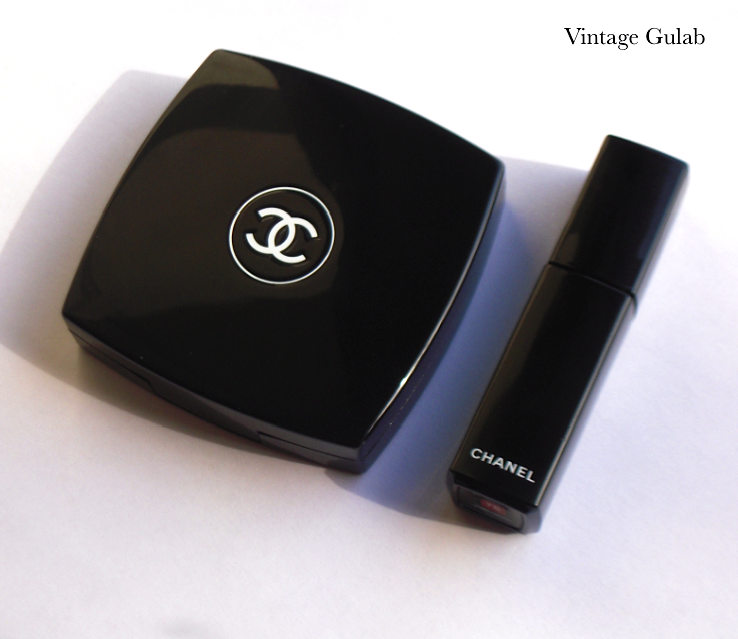 However, this line of lip products was discontinued by Chanel late 2011 (hate). 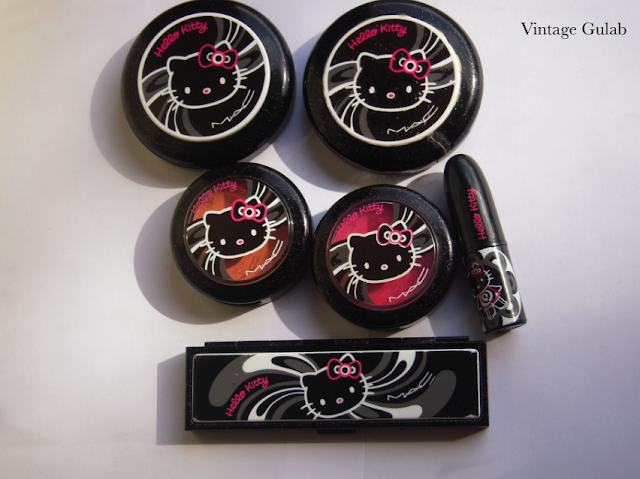 Products I had the hardest time getting would probably be stuff from the 2008 MAC Hello Kitty collection ($14.50-$38). Being a huge Hello Kitty fan, I was kiiiind of kicking myself for having missed that collection. Well, 4-5 years later in 2011 and early 2012 I managed to collect all the cheek stuff released stuff from that collection, as well as a quad and a lipstick. I did have to pay way more than retail on some of these but now I find myself just not interested in this collection any more. I guess the novelty wore off pretty quick, heh. 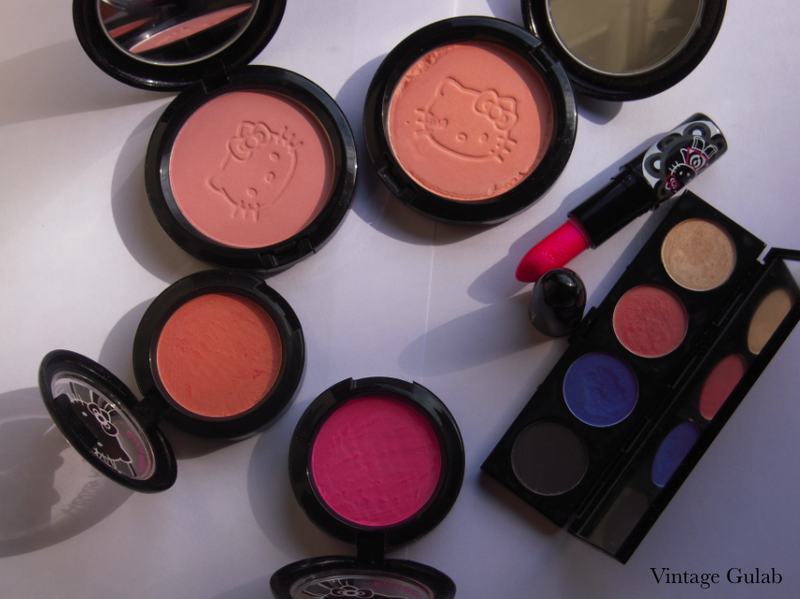 Featured here are all four of the cheek products released from that collection; blushes in 'Tippy' and 'Fun & Games', beauty powders in 'Tahitian Sand' and 'Pretty Baby', a lipstick in 'Big Bow' and a quad in 'Lucky Tom'. 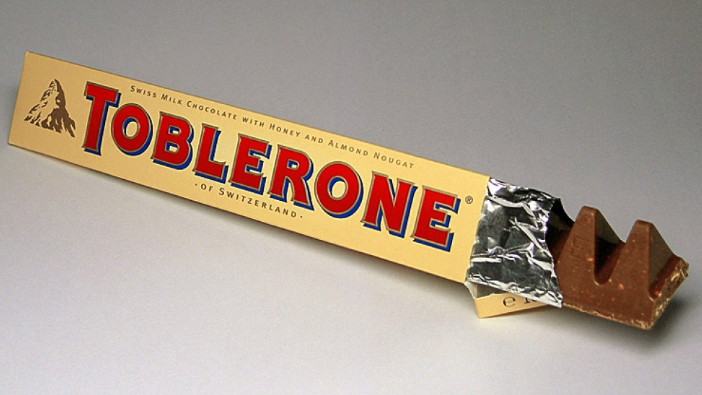 The packaging is cute but doesn't appeal to me the way it once did. I'll probably keep these for sentimental value, though. 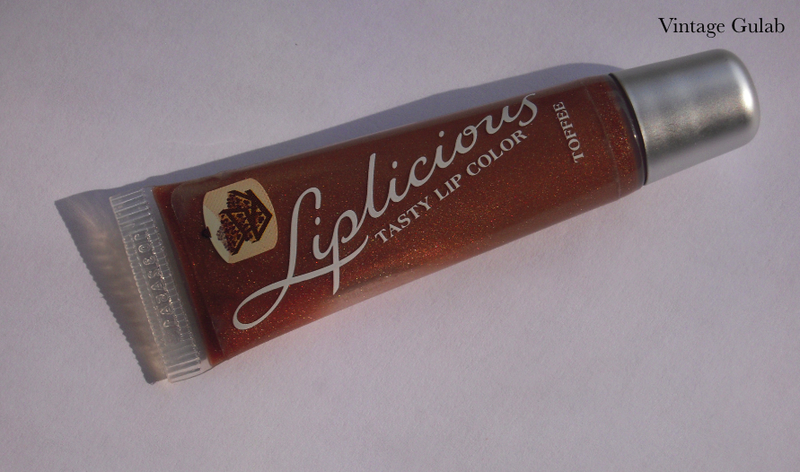 I immediately thought of my Bath & Body Work's Liplicious Gloss in the flavor 'Toffee'. It smells like vanilla, French vanilla coffee and just pure deliciousness. This doesn't last more than 10 seconds on my lips because I ALWAYS end up licking it off. This would be lip liner. 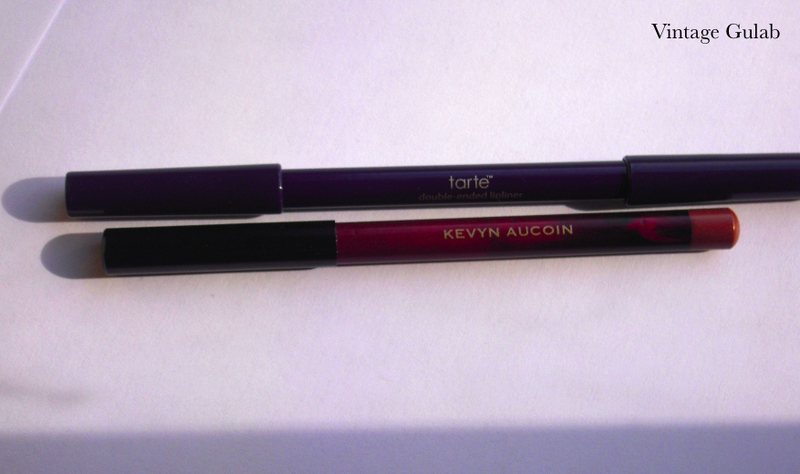 And yes, I know it's important, especially when you wear darker lip colors but generally I like to be delusional and think I'll get lucky and it won't feather... That being said, the two pencils pictured above are some of my favorites. On top is a duo-ended lip pencil in 'Dizzy Blonde' by Tarte which has a great brown and a muted pink and next to it is another favorite by Kevyn Aucoin in 'Minimal'. Lip liners are definitely one aspect of my makeup collection I don't seem to have much variety of. I think I'll definitely pick up 3-4 basic colors next. This would be lining the waterline (weird, I know). I just find it makes me look more awake and less like a zombie. I also love using liner to line my upper lashline. For the waterline, I love Hashmi Kajal ($3) and this a brand very popular in Pakistan/India and sells for only a few rupees. I love this because it lines both top and bottom waterlines at once and you don't even need a mirror. 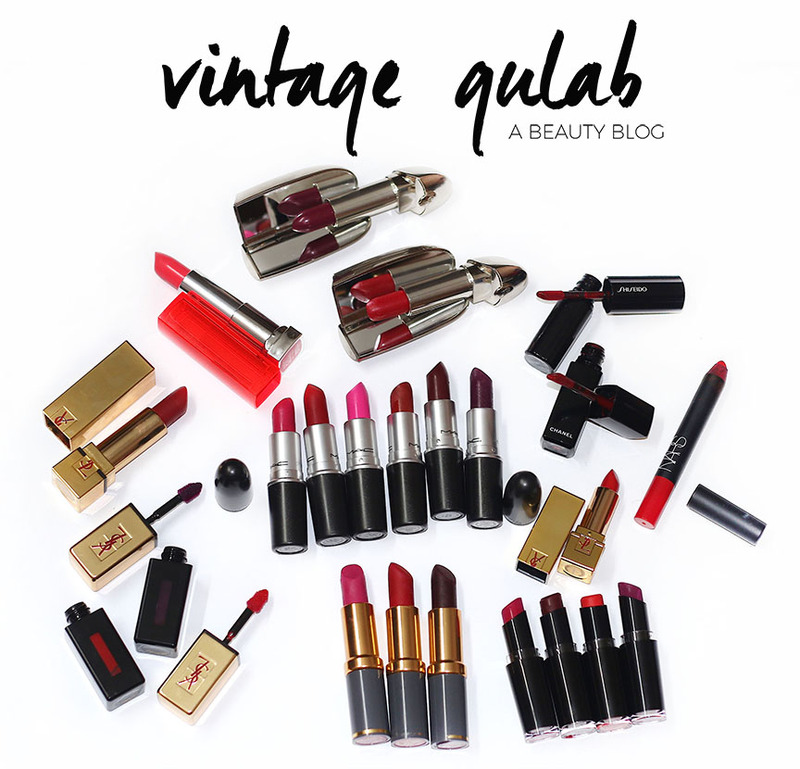 If anyone is familiar with Guerlain's Kohl Kajal ($33), then they know where Guerlain got the idea from since this form of kajal in the South Asian Subcontinent has been popular for centuries. 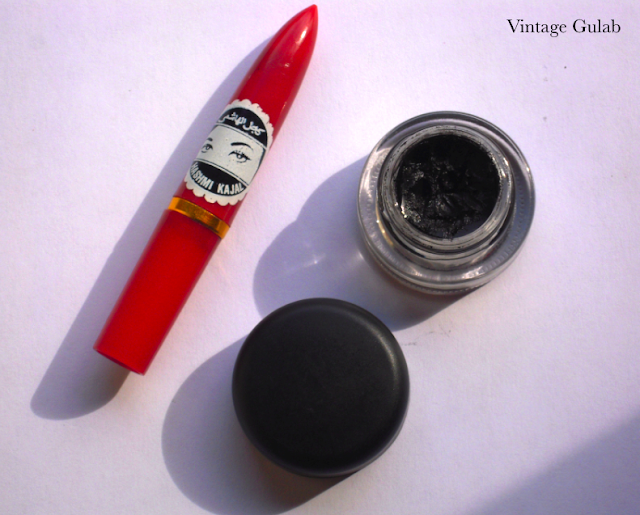 Another favorite for the waterline is Milani's Liquif'eye liner in 'Black'. This is AMAZING and better than any other liner I've tried from any price point because it's extremely smooth/soft and SUPER-black but sets and lasts all day. And for flicks and cat lines I always love gel liner and pictured above is MAC's Fluidline in 'Blacktrack'. LUST: What are your current lemmings or lusts? I did change the question for obvious reasons but current lemmings/lusts are Hakuhodo brushes which are, for those that don't know, hand-made brushes from a Japan-based company. I've been doing a lot of research and asking around so I already have a cart of 3-4 face brushes I need and will be pulling the trigger on that order shortly. Additionally, you can find more about Hakuhodo brushes here. 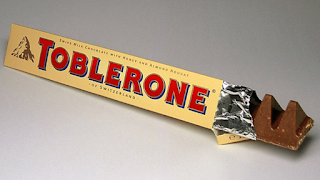 I can't think of anything beauty-wise so...Toblerone. Always. And since we're on the topic of the 7 Deadly Sins, I leave you with this superb music video 'Chal Bulleya' by the Lahore-based Mekaal Hasan Band. This video is actually based on the 7 Deadly Sins and is extremely visually appealing and thought-provoking-- even if you don't understand Urdu or South Asian culture. Enjoy!